Update: Along with the new Mavericks preview, Apple released the second beta of Xcode 5, which can also be found via the Mac App Store. According to people familiar with the new Mavericks seed, Apple has dubbed the build "13A497d," a few iterations higher than the "13A476u" designation held by the first preview issued to developers during WWDC 2013. Apple notes in there are a few bugs with the release, including minor display issues with Safari and iCloud Keychain. The forthcoming operating system boasts a number of improvements and feature additions like Finder tabs, Maps, App Nap and Compressed Memory, among others. 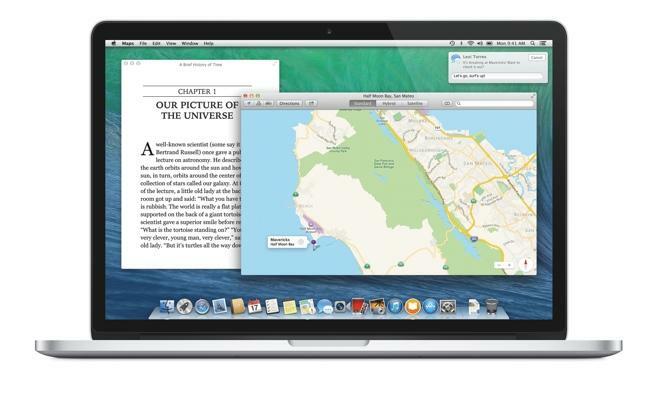 Apple's OS X 10.9 Mavericks Developer Preview 2 is available now for developers via the Mac App Store. For more on the features and what to expect from the upcoming Mac operating system, check out AppleInsider's ongoing in-depth coverage here.